Offering a variety of subjects to Year 9 pupils, going beyond the core allocation, is integral to our support for the next generation of successful adults. I have written previously about the importance of an inclusive curriculum and how we define success; never has this been a more vital element of our provision for pupils. Over the last week we have supported 11 EHCP transfer reviews for Year 9 pupils with Statements of SEN. At each meeting, we gave ample time to discussing the aspirations of these young people and the outcomes they want to work towards. We also discussed the process of choosing options, and how we can support their next steps towards adulthood. This meeting is a valuable part of the process and, as we all should now be fully aware, it keeps the young person central to everything and positively involves parents and carers. But without an appropriate curriculum offer, some of our young people will continue to be marginalised as schools push for purely academic rigour and performance. The most important element of our curriculum offer is young people’s ability to choose additional English and maths lessons, beyond the core allocation, while still having two other choices. Four option choices are available, two of which may be additional English or maths (taught by specialist teachers). This allows for students to have 12 maths lessons and 12 English lessons over two weeks, allowing for appropriately targeted interventions in the classroom as part of the ‘assess, plan, do, review’ cycle. I cannot understate the power of this option choice as part of a supportive curriculum. Additionally, for some young people there are other applied options delivered at different educational venues (although these are most difficult to find, especially when considering risk factors and the vulnerability of some individuals). Despite the tough funding decisions we have to make, keeping a varied and inclusive curriculum offer central to what we do means we can promote personalisation, not normalisation. Most importantly provide appropriate pathways into adulthood. Choosing the right subjects is perhaps more important now than ever before, and we know that parents and carers often want to discuss options at length with subject specialist colleagues. We always give students as much information as possible about the choices available, through our ‘official’ options booklet, the options evening and separate discussions prior to the EHCP review. Between all these elements, there’s plenty of opportunity for the school to navigate this stage of their education. During the options evening, parents, carers and young people have the chance to discuss the school’s philosophical stance on subject choice and the balance and breadth of the curriculum, while also ensuring individual discussions with subject teachers allow for a personalised discussion regarding the decisions. This evening is the week prior to our individual EHCP transition reviews, allowing for a suitably graduated approach to discussions and decision making. Additionally, many subjects are offering new specifications, and it is crucial that parents, carers and students are aware of these before they make any decisions. 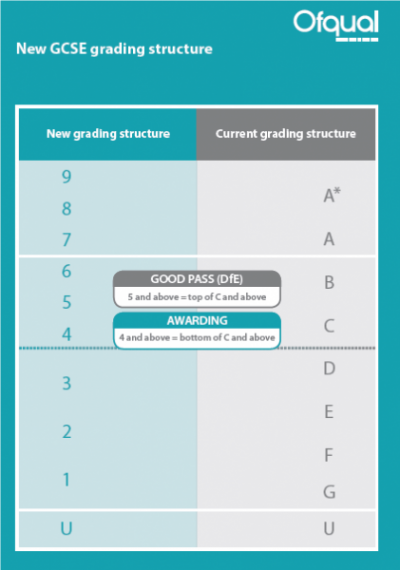 While all students study English language, English literature, maths, science, core ICT and one of the PE, sports and dance courses, it is important to ensure everyone knows that the new GCSEs will be awarded on a 9-1 points system. The equivalent A*-G grades are illustrated in the table below. When we consider pathways to Key Stage 4, we must think carefully about what the young people want to do in the future; balancing the ‘here and now’ with what lies ahead is always an important discussion to have as part of the process. Open, honest communication, access to accurate information and a process that allows for the needs of the young person, along with the outcomes specified in the EHCP to be supported with an appropriate curriculum offer is vital. This balance is increasingly becoming a challenge for SENCOs in supporting parents, carers and young people. It is important that teachers undertake the most significant interventions in the classroom. Our curriculum offer ensures that we can make those interventions, while at the same time encouraging independence. By providing curriculum time for such subject-specific interventions, we reduce the need for ‘old-fashioned’ (I use the term carefully) catch-up classes and withdrawal lessons that struggle to match curriculum content - and often struggle to find appropriate time. 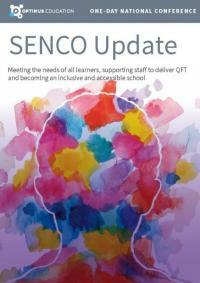 Our work is challenging, but my belief that the core offer of schools (teaching and learning, pastoral care and welfare) should be established with our most vulnerable learners in mind is constantly re-affirmed. A whole-school approach to giving the next generation equal life chances should be the cornerstone of everything we do. Who knows what shape our curriculum will take? Only time will tell. However, holding onto the core values of an inclusive curriculum offer is an important part of our school ethos: providing an education for life.